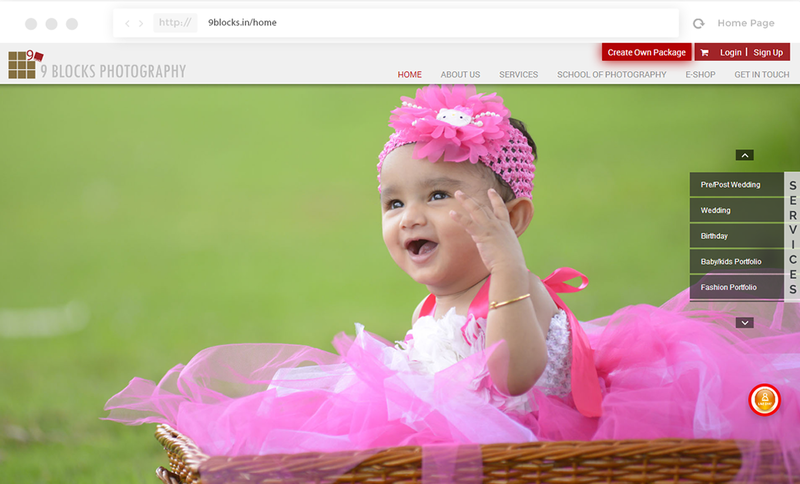 9Blocks Photography is an enrolled and a head studio situated in Hyderabad (INDIA). 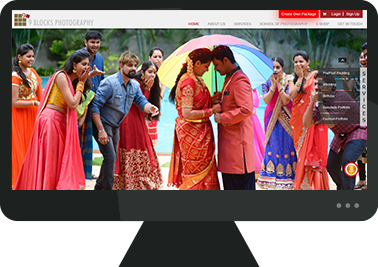 Whoseoffers the services to more number of people, looking for best output in an affordable price.Hyderabad Wedding Photography is acclaimed for its originality and innovativeness and it isone such studio, which is known for the same. 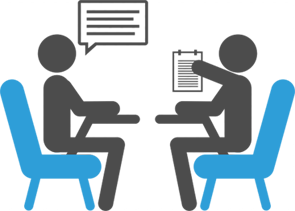 The Founder and Director is Krishnendu Halder,they provide services to all over the India and cover few countries like Sri Lanka,Dubai andAustralia.For Design of their Site they approached “Pranetor Software Solution”. 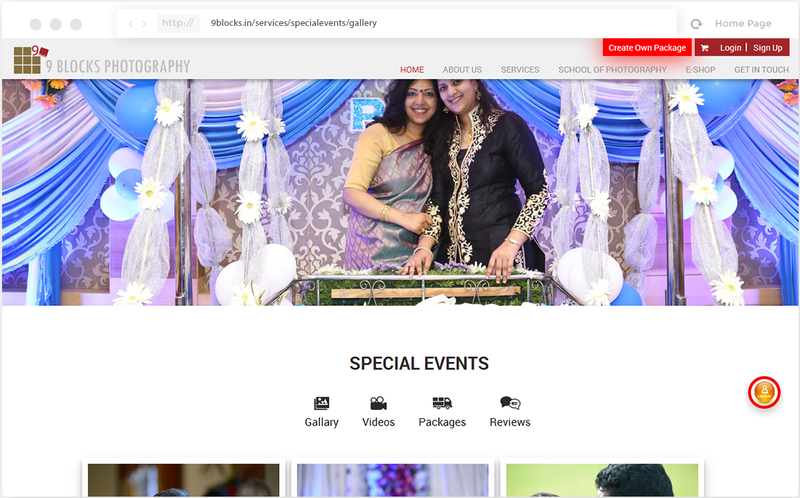 As per the clients approach, the site should include N-Number of services like Birthdays,Weddings, School Of Photography and E-Shop and along with “Choose A Package” functionality.We stated that “Choose A Package” functionality is not an friendly user to the customers as it is predefined with quantity of photographer as per day along with an fare and May thisFunctionality doesn’t approach to the expectations of the customers. 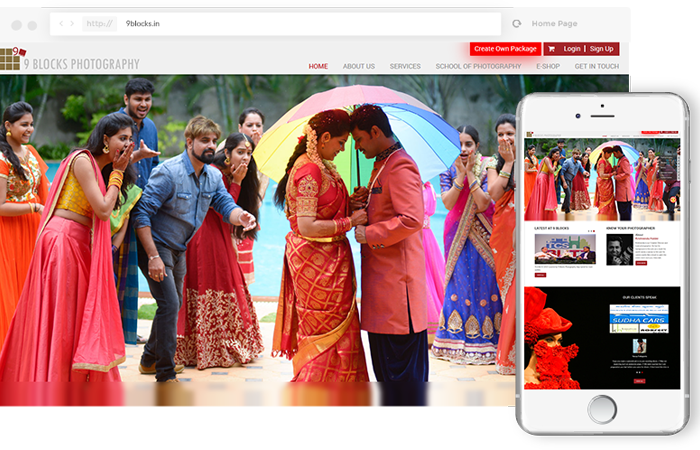 In order to reach the customers expectations, we come across with the design of “Create OwnPackage” functionality through site to book for the photo shoot as per their wish instead ofchoosing from predefined values. 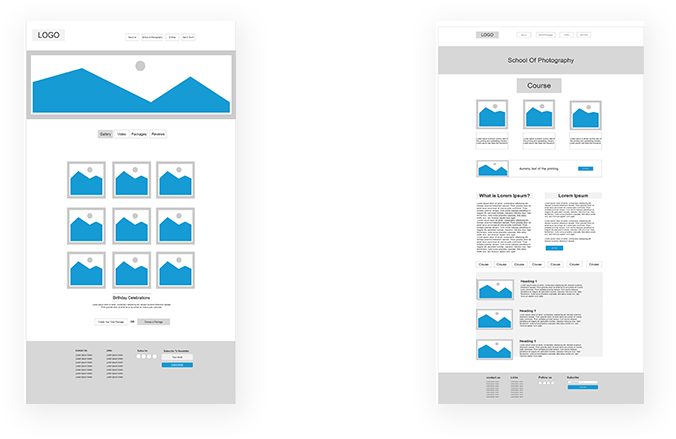 And also we come up with the design of menus and sub-menus to show the N-number of services having different functionalities and also to minimize.the complexity in design to make the site user friendly to customers. As per the requirements ,first we startup with the wire frame and went to visual design by using The tool Photoshop CS6 and Illustrator, after getting with the design our developer start coding Using the platform Dreamweaver CS6 and later the front-end development underwent toBackend functionality, we use PHP and Java Family to done Backend part. The combined effortof each individual results to best output. 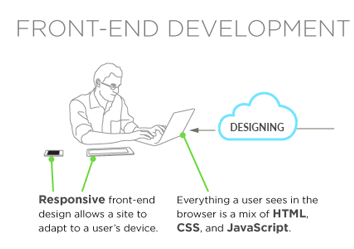 After getting done with Design, we have moved to Front-End Development part, where we can see the output in the Browser and further underwent to Back-End part.